(Bir) Bintang Beer, the most popular drinks in Bali. 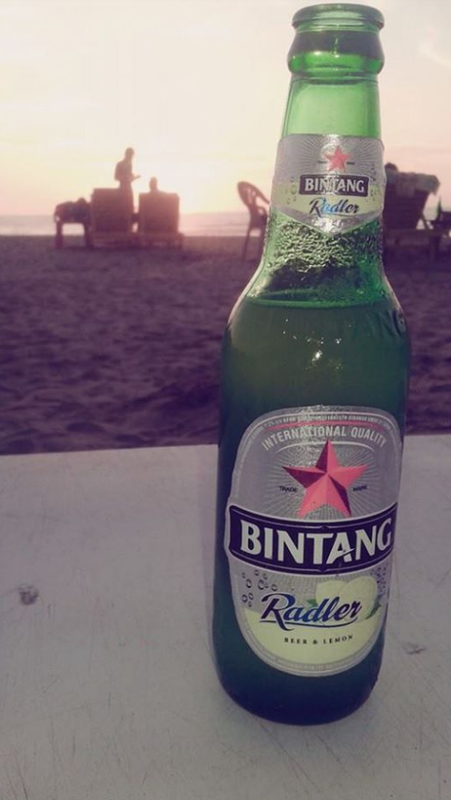 Bintang beer can be obtained at Kuta Beach, Sanut, Legian, Seminyak, anywhere in Bali. (Bir) Bintang Beer, local beer is very popular in Bali and most widely circulated. Bintang beer is very easy to get, cheap and tasty. Anyone visiting Bali people must know about this beer. Bintang beer is a brand of beer which existed since long. Bintaaaang means star, in Indonesian, shows a picture on the packaging. Star logo displayed on the packaging very clearly visible. Bintang beer is very easy to come by in Bali. Large stores to small stalls. In the restaurant up to the edge of the street vendors at Kuta Beach. It's easy to come by and the price is very cheap. Along Kuta Beach, this beer traders very much. Surfboard rental guards usually they also sell Bir Bintang. Bintang beer is sold in glass bottles. Indeed, Bintang beer brand owned by companies from the Netherlands. This beer is made in Indonesia but with the license of the company from the Netherlands. Lately, the Indonesian government banned the sale of beer in public places, at the supermarket, and stalls. The ban was causing controversy in public, because it would eliminate the jobs of traders beer in Bali. Bali as a tourist destination, and beer is a drink that is most sought after by foreign tourists, can reduce the income of the seller of beer in tourist spots.